The weather has been changing around the nation. This time of year is my very favorite; the colorful leaves and cooler temperatures create the perfect backdrop for long runs, farmer’s markets, fresh donuts, hot cider, and apple picking. But this year, as the leaves have fallen, so have apostrophes—right into spaces where they don’t belong. Living in Michigan, I frequently check the weather. There’s a famous Mark Twain quote, “If you don’t like the weather in New England, just wait a few minutes.” This quote is quite common here in Michigan as well, especially with its lake-effect snow storms, tornadoes and random heat waves in January. 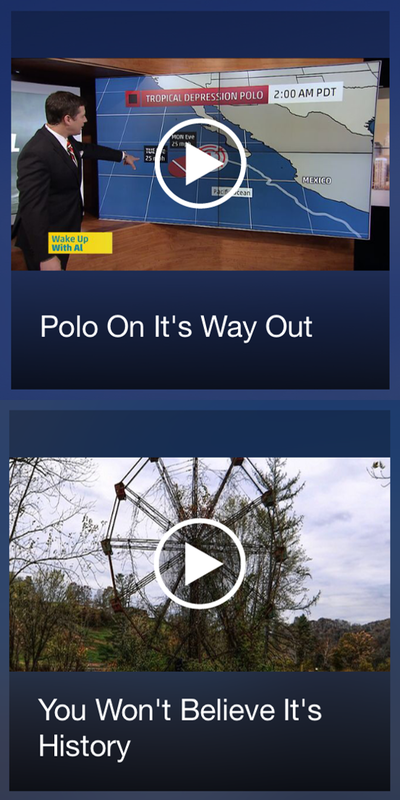 I never know what the day will bring, so I become pretty reliant on my Weather Channel app. One chilly observation that I’ve noticed over the past few weeks is that the Weather Channel has a bad habit of adding unnecessary apostrophes to the word “its.” The channel's writers, like so many others nowadays, believe apostrophes should go anywhere and everywhere. If in doubt, throw in an apostrophe. Right? Confusing its and it’s is a very common mistake, so if you struggle with this one, don’t be hard on yourself. Hopefully we can clear it up for you in a jiffy! In English, apostrophes have two functions: They can stand in place of something that’s missing (such as do not/don’t), or they can make a word a possessive (such as Susie’s house). When to use it’s: In order to form a contraction for “it is” or “it has.” That’s it! When to use its: Any other time. That’s it—short and simple. Pretty easy, right? Let us know if this helped you, and check out the articles below for more helpful information that’ll ensure your content is in tip-top shape this season! It’s Typo Tuesday! And a Singularly Bad Day for Apple.